Tribes Overall: "Loved Rodrigues and the diving was superb. 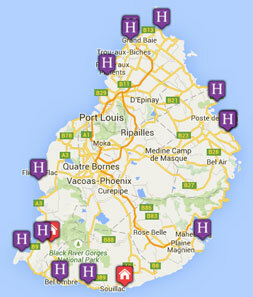 Hotel there very nearly excellent, but compromised by volume of entertainment every night, exploring the island was well worth doing and the few nights we had on Mauritius were also very good." Tribes Service: "We were delighted with the service from Tribes." Guides: "The ground handling company on Rodrigues were brilliant. Gilbert, the rep looking after us, was helpful well beyond the call of duty (he brought 25l of fuel to me at the hotel at 8pm on evening) and really charming." The staff were all lovely and very helpful and seemed happy and contented. It is very well laid out, with a lovely bar area overlooking the bay and much nicer salt water pool and pool area than we expected, which was usually deserted (I have no idea where everyone went). The food was a funny mixture. Some meals, especially lunch, which was a la carte, excellent, and some very indifferent. It all tasted fresh. Dinner was invariably a buffet, with a few things griddled, and started at about 7.30, so that if one arrived later many dishes were stewed. The main thing though was a lack of variety, with everything tending to taste the same. Our room was fine spacious and clean, with good housekeeping and a fabulous view. One disappointment was that swimming in the sea was really not possible, even at high tide, because the bottom was very rocky and about half the bay was heavily colonised by sea urchins. There are lovely beaches around, but some of them suffer from the same things, and getting to them is a more major expedition than it looks on the map. The problem however, which would prevent us ever going back, was the so called entertainment. The bar area was equipped with speakers the size of small cars, and boy did they use them. It started every evening at 8.30, and meant that if one did not like disco music then there was absolutely nowhere at all to go except to your room and even in there (in one of the furthest rooms away) it was still ludicrously intrusive. In my opinion the hotel website and publicity is badly misleading, as I told the manager. This is a real shame, as there is nothing to stop it being the haven of peace and tranquillity that they advertise.